Towering behind the iconic golden beaches and 70’s skyscrapers of coastal Rio lie the perilously steep and dense urban expansions Brazilians call favelas. Constructed from all manner of recycled and scavenged materials, the majority use electricity illegally tapped from the public grid. Unlike the ghettos of the US, the favelas exist due to economic forces rather than because of ethnic or cultural separation. Their origins date from the late 19th century but the onset of the era of explosive growth was in the 1940s, when President Getúlio Vargas‘s industrialization drive drew hundreds of thousands of migrants into the city. 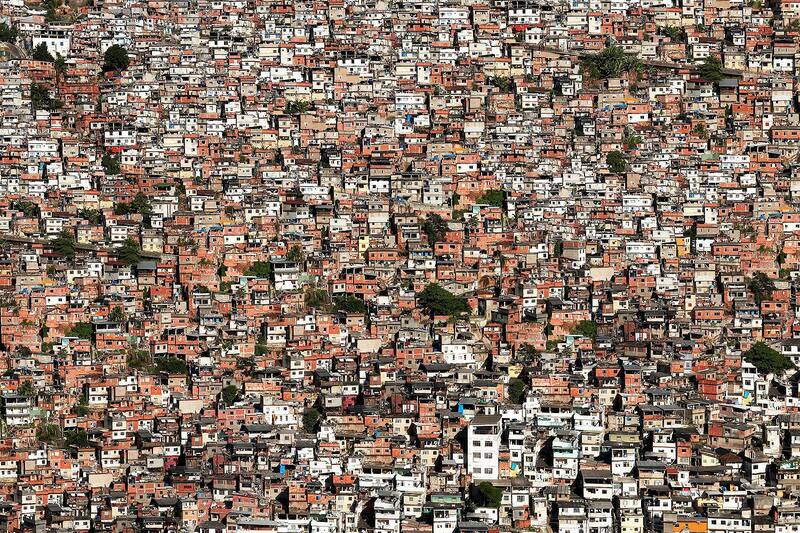 Today, 1 in 4 Cariocas, as inhabitants of Rio are called, live in these road less and unregulated hillside shantytowns. However, despite extensive social deprivation, the favelas have been and continue to be a hotbed of creative energy and cultural invention.